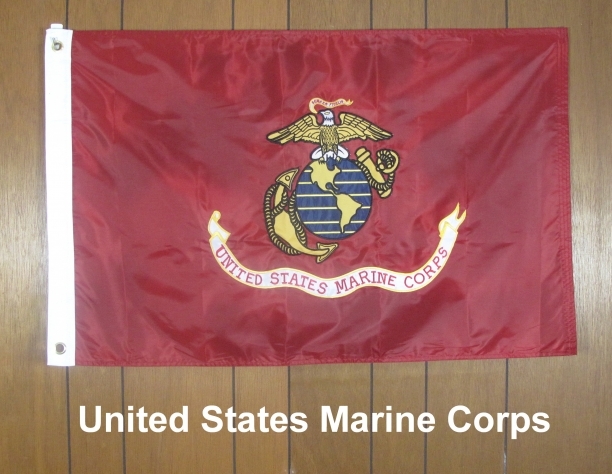 Nylon with embroidered Marine Corps logo. Double sided. Correct on both sides (great for parades). Available in 3X5 & 2X3. Satisfaction guaranteed. 100 % refundable for 10 days upon receipt.